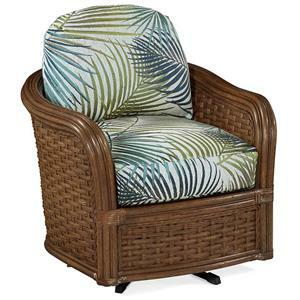 Accentuate your living room or four seasoned porch with the relaxed tropical style of this swivel glider chair. 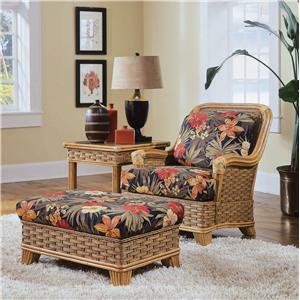 Woven detail is framed in a light exposed wood with a reed design, while plump seat and seat back cushions provide comfort. Inviting character continues with a soothing swivel gliding motion. 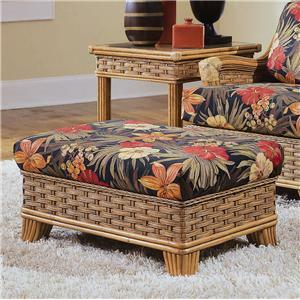 To accommodate personal style, this piece is available in multiple upholstery options. The 953 Swivel Glider Chair with Exposed Wood by Braxton Culler at Hudson's Furniture in the Tampa, St Petersburg, Orlando, Ormond Beach & Sarasota Florida area. Product availability may vary. Contact us for the most current availability on this product. Cool and refreshing, welcome the inviting character of the 953 collection into your home. 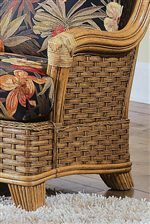 Whether you are decorating your four seasoned porch or your living room, the wicker woven detail and exposed wood accents present a relaxed casual appeal your guests will admire. 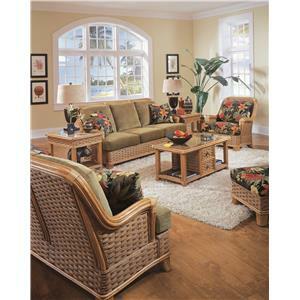 For your styling convenience, this group is available in multiple fabric options. Featuring a sofa, loveseat (not shown), chair, ottoman, swivel glider chair, sectional (not shown), cocktail table, and end table, create a harmonious look in your home! 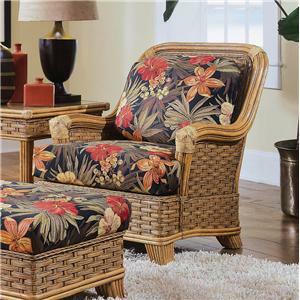 The 953 collection is a great option if you are looking for Tropical furniture in the Tampa, St Petersburg, Orlando, Ormond Beach & Sarasota Florida area. 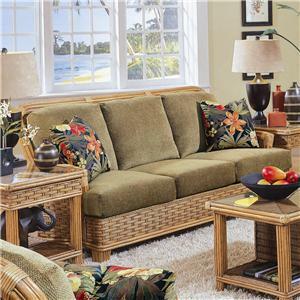 Browse other items in the 953 collection from Hudson's Furniture in the Tampa, St Petersburg, Orlando, Ormond Beach & Sarasota Florida area.